Not every game needs to be a complex amalgamation of multiple genres. Sometimes, slicing up a bunch of dudes with reckless abandon is quite enough. 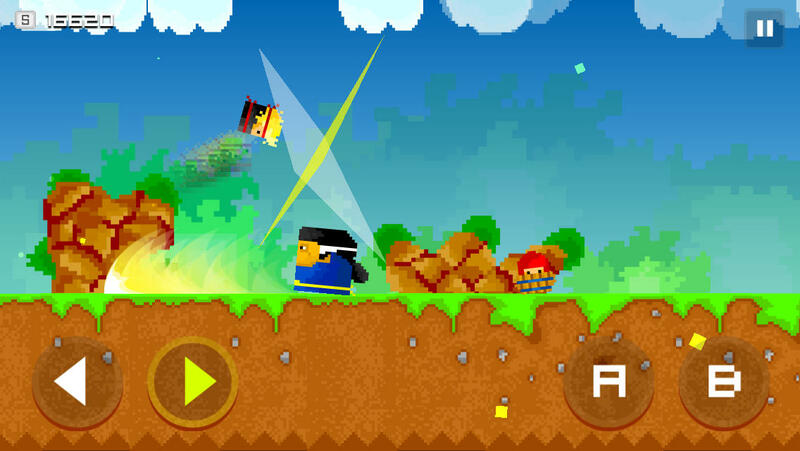 Take Nakama ($0.99) for example — an action game that focuses solely on 2D combat, with no IAPs or platforming in sight. Nakama is a very straight-forward game that doesn’t pull any punches. 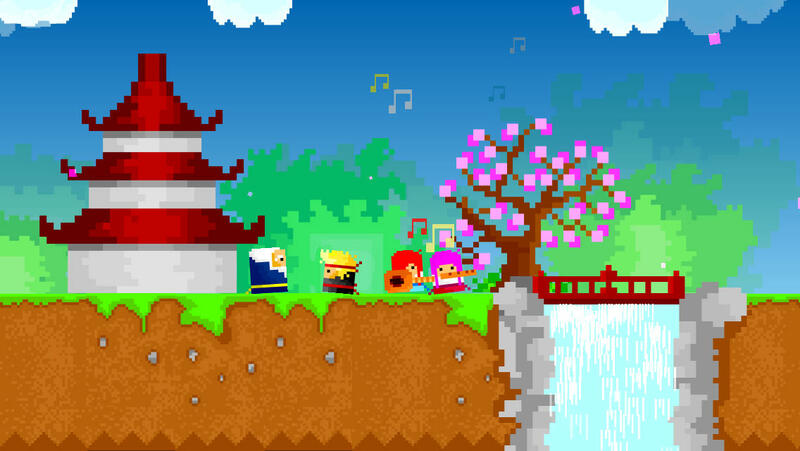 You’ll progress across eight different levels as you slice and dice your way through a number of different enemy ninjas and rescue the captured members of your clan. Each stage features a new boss (and usually a new concept to conquer), thus freeing an NPC teammate to partner up with you as you move on to the next captive. Due to the fact that the design eschews platforming any kind in favor of flat planes to combat on, the controls actually work. In addition to two virtual buttons to move left or right, you’ll have attack and jump buttons at your disposal, as well as a few moves activated by using the latter two buttons in tandem. By holding down the attack button, your hero can charge up a rushing slice, similar to Ryu Hayabusa’s Flying Swallow ability in the Ninja Gaiden series. Simply double-jumping with initiate an air dash, which can get you out of hot water. By sliding your thumb over jump while holding down attack, you can fly into the air and engage a flying attack with the greatest of ease. It sounds overly simplistic, but the way these charge attacks work together is genius, and makes for some very satisfying fights. As an added bonus, iOS 7 controller support is part of Nakama’s package should you opt for physical controls. But despite how great the core game works, there really needs to be more on offer here if it wants to keep the vast majority of gamers engaged. A lot of the bosses may force you to rethink your strategy momentarily, but many of them end up becoming enemies in clone form later in the game. Additionally, the game’s eight stages will take most action veterans very little time to complete, and considering all your doing is hacking and slashing a low pool of enemies over and over for around an hour, it can get tiring — then it’s over. Nakama does have an endless survival mode (accessible by moving left on the home screen) that allows you to buy some minor upgrades for your character, but it takes a short while to ramp up and become interesting. Thankfully, the game is complete and doesn’t feature any IAPs of any kind. Nakama really is a great action experience, even if there’s not a whole lot to do. With so much potential in the game’s combat system, I hope a full sequel or even a content update really takes advantage of the solid engine.